Certified Nursing Assistant classes in Spartanburg will prepare you to practice on the front lines of patient care. The training is essential if you enjoy caring for sick, injured or disabled persons and want to work in a long-term care facility. South Carolina requires prospective nursing assistants to complete 100 hours of theory and practical training in preparation for the role and to be added to the South Carolina Nurse Aide Registry. Apart from clinical competency, you’ll need compassion, flexibility, and patience to help patients remain physically and emotionally stable throughout their ordeal. Excellent communication skills are also essential to collaborate with team members and communicate with patients and their families. 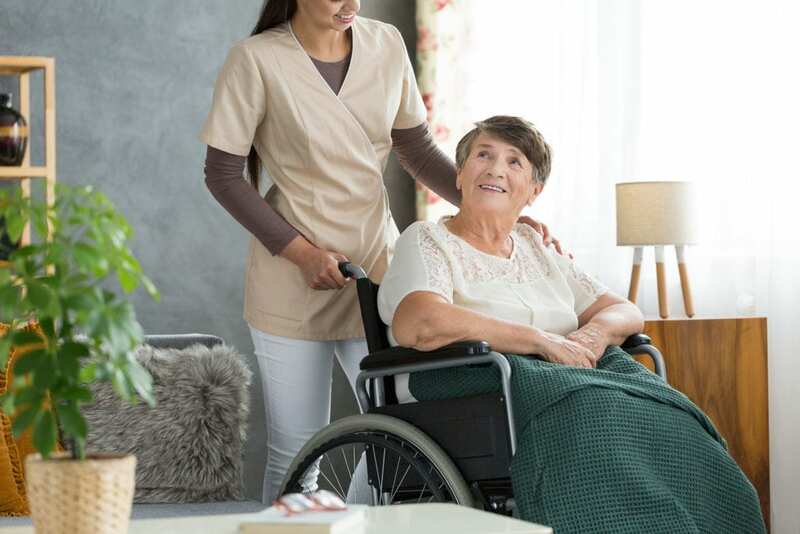 CNAs assist patients with the activities of daily living, change bedpans, make beds, measure and record vital signs, answer call lights, and assist with rehabilitative treatments under the supervision of a licensed nurse. CNAs work closely with patients and are able to spot changes in their physical and mental health and report critical information to nurses and other supervisors. Training and experience as a nursing assistant may be the first step to a career as a licensed practical nurse or registered nurse. CNAs work in hospitals, clinics, doctors’ offices, and nursing homes. Adults who intend to register for the Nursing Assistant Program at Spartanburg Community College must first complete the Verified Credentials process. The program teaches students how to care for people in need. They learn how to measure and record vital signs, practice within the scope for the profession, provide personal care, assist residents with the activities of daily living, turn and position patients, measure fluid intake and output, ensure patient safety, and respect patient rights. Graduates are eligible to apply for the state competency exam for a rewarding career as a Certified Nursing Assistant. Tuition costs $899 plus the cost of the books. Spartanburg Regional Healthcare Center offers free nursing assistant training for persons interested in a career as a Certified Nursing Assistant. The duration of the program is 5 weeks. In return for the free training, graduates are required to commit to one year of employment at Ellen Sagar Nursing Center. The curriculum includes theory in the classroom and hands-on learning experiences in a skills lab followed by supervised patient care experiences in a skilled nursing facility. Course topics include basic nursing skills, medical terminology, anatomy and physiology, patient safety, patient rights and independence, infection control, and patient hygiene. Apart from fee tuition, SRHC will provide books, uniform, and the cost of the Board exam at no cost to accepted students. Graduates will be eligible to sit the CNA exam to be added to the South Carolina Board Registry for employment at Ellen Sagar Nursing Center. The Nursing Assistant program at NHC Healthcare prepares adults to provide compassionate, quality, patient-centered care. The program meets state and federal requirements for theory and practical training and clinical training in a skilled nursing facility. Upon completion of the program, graduates will be eligible to take the certification exam to be added to the Nurse Aide Registry. Course topics include but are not limited to infection control, medical terminology, patient rights and independence, safety and emergency procedures, hospice care, Alzheimer’s care, and nutrition. Tuition for the program is free, but students must purchase their own uniforms. Graduates may need to commit to one year’s employment with NHC in exchange for the free training. The Nurse Aide program at Ignite Healthcare Institute includes 100 hours of training in accordance with state guidelines. Students will cover 60 hours in the classroom and 40 hours of supervised patient care experiences in a skilled nursing facility. At the conclusion of the program, students will be scheduled to take the state exam at Ignite’s facility – within 12 days of completion. Day, evening, and weekend classes are available. The day class meets Monday through Friday from 8:30 am to 3:30 pm. Clinical times are from 7:30 am to 2:30 pm. The night class meets from 5:00 pm to 9:00 pm. The weekend class meets on Friday from 5:00 pm to 9:00 pm and Saturdays and Sundays from 9:00 am to 5:00 pm. Demonstrate good physical and mental health. Be able to lift, push, and pull at least 30 pounds and be able to stand for extended periods. Tuition for the program is $725.00 and includes workbook, textbook, background check, blood pressure cuff, stethoscope, TB test, urine drug screen, one set of scrubs, CPR certification, and the State Board exam.